Is Lubbock County going broke? The short answer is, yes; if Lubbock County continues spending at the same rate as the last four years we will be broke, bankrupt, in a year. The numbers don’t lie. 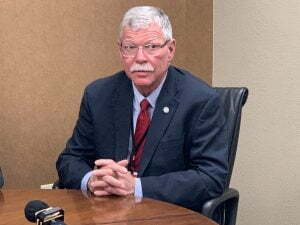 According to the latest figures from outside auditors, in the last four years Lubbock County’s unrestricted reserves have shrunk by 75 percent. In 2014 Lubbock County’s reserves were $38.4 million. Four years later they are less than ten million. It is a spiral into bankruptcy if the trend isn’t halted immediately. The answer? Cash in the bank is at a 20 year low. In fact, Lubbock County doesn’t post records far enough back to show a time that reserves have been lower than they are today. Reserves are well below recommended minimums of 15 percent of general fund annual revenues, which would amount to about $17 million. Today we are circling the drain at $9 million and some change*. 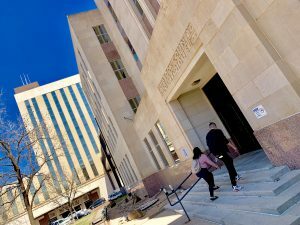 While most counties try to maintain reserves equal to three months operating expenses, Lubbock County reserves are only one month’s operating expenses. Failure to maintain enough reserves could result in problems meeting payroll in October and November when next year’s revenues haven’t been collected but expenses continue. Keep spending at this rate and Lubbock County is broke before July 4th next year. On Independence Day 2020, we will be slaves to county debt and the tax collector will be fighting the bill collector. Does anyone see the irony here? Where was County Auditor Jackie Latham? We’re flat busted and tax increases are coming. The news comes straight from county records and any commissioner, judge or pundit who spins it differently is either ignorant of the truth or part of the cover up. We’re broke. We can’t keep spending money like this or our checks will bounce. And while we’re talking about cover up, where was County Auditor Jackie Latham while Lubbock County Commissioners were spending money like drunken sailors on shore leave? Did the county auditor issue a single outcry, warning or caution alerting Lubbock County and its citizens we are on a disastrous course? To be fair, county auditor’s office has perfected only its culinary skills. On any given day you may find the halls on the 7th floor of the county annex filled with the aromas of a fine breakfast. But in reality, the office work product stinks. The auditor’s personal attendance record is spotty, taking advantage of privileges no regular employee has: the privilege of not going to work. Lubbock County will see both tax hikes and budget slashing. But here we are, at the brink of disaster, and where is the county auditor? Complicit in the malfeasance by her silence. Or her absence. One equals the other in this instance. Asleep at the wheel or absent without leave, do we really care to parse the difference? It’s time the county auditor was a Lubbock County resident who shows up for work and protects taxpayer money. The people who put us in this mess testified against property tax reform two years ago. And now we know why. And we also know why tax reform must happen. Tax hikes and budget cuts are coming to the County. Remember Commissioner Bill McCay’s famous retort during last summer’s budget debate? “Let them eat crow,” he said. 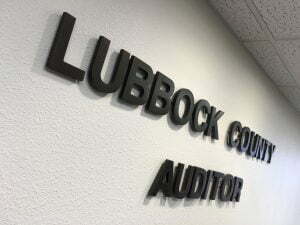 What we are seeing is part of McCay’s deliberate sabotage of Lubbock County’s finances in order to force incoming commissioners Jason Corley and Chad Seay, along with newly elected County Judge Parrish, to raise county taxes. It worked. Lubbock County will see both tax hikes and budget slashing. We’re not going broke; we’re already there. So this is, in the final analysis, McCay’s Mess. It’s his ultimate “gotcha” on Lubbock. Everyone knows that Commissioner Gilbert Flores goes along to get along and his primary reason for coming to the office is to pick up his check. Flores has long been willing to trade his vote in exchange for minimal gains for his district and his inattention to county business reflects that. But McCay was on the budget committee. He set this up. Thirty million would pay the entire cost of improving Woodrow Road but instead, the county is down $30 million and all we have to show for it is shiny new voting machines we didn’t need and big questions about the security of our elections. Past reckless spending will wreck county budgets for years to come. It will cost us with every dollar we borrow. Our bond rating will probably be lowered. This will have a direct impact on the road bond, election scheduled for May, as well as Expo Center bonds approved last November. It’s going to be a long recovery period for Lubbock County. The bill for 20 years of neglect and waste has come due. No, we’re not going broke, Lubbock County; we’re already there. Do they serve crow at the county auditor breakfast? *We calculated our present position by taking the 2018 year end reported unrestricted reserves figure of $13,661,439 and subtracting $4,313,293 for a 2019 budget draw against reserves leaving a total of $9,348,146.